CREO Mark 1 is finally here. 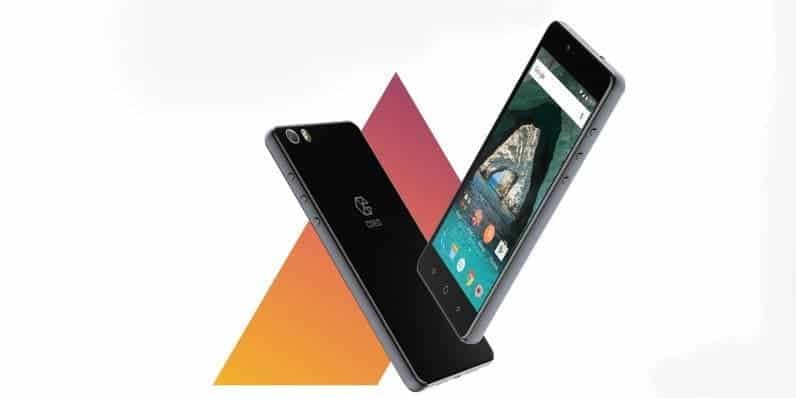 After a series of teasers, the Bangalore-based company launched the Mark 1, and promises a great user experience with a heavily modded Fuel OS, and also they promise to push monthly update and add features every month. Surely the phone comes with powerful specs and features, but monthly update seems to be the best feature. The phone is available on the official website and [eafl id=14601 name=”CREO Mark 1- Flipkart” text=”Flipkart for Rs. 19,999″]. Mark 1 comes packed with some unique OS level features such as Retriever, an app that never lets you lose your phone, Echo is another voice-based answering machine app, Sense is another feature which is basically a universal phone search. The camera is also very impressive with different modes like Live-photo, 3D selfie, Slo-Mo videos and Time Lapse. The CREO Mark 1 has a full metal body, protected by Gorilla Glass 3 on both sides and 2.5D curves. It has a 5.5-inch 2K display having 534 PPI. The phone boasts of 21MP Sony IMX 230 Exmor rear camera and 8MP front camera. CREO Mark 1 is powered by a 1.95 GHz True Octa Core Helio X10 Processor, coupled with 3GB RAM and a 3100mAh fast-charging Li-Po battery. It has 32GB of internal storage which can be further expanded upto 128GB via microSD. Connectivity options includes Wi-Fi, GPS, 4G and it supports dual SIM cards. That was all about the specifications, but here we have the list of all notable industry first features of the CREO Mark 1. Sense – With Sense, you can find anything on your phone with a double-tap on the home button from anywhere. Sense is just like Google on a phone which indexes everything- your settings, apps, messages, contacts, photos, files to calendar events. Echo – Never miss a call again. Echo answers your calls for you when you can’t. You can set your own greeting and Echo will greet your caller and record messages for you. It works without the Internet and does not involve carriers. That means, no need to shedding moeny for it. Retriever – It is a theft detector. It automatically triggers alerts to your Email ID whenever a new SIM is inserted into your Mark 1. It works without internet and also, even if the theft factory resets the device, it will be sending you alerts. Smart Roaming for Dual Sim – This is a very good feature for frequent travelers. Smart Roaming automatically makes sure your local SIM is set as the primary SIM and the Roaming SIM is made your secondary SIM. Smart Forwarding – A feature that auto-diverts calls from ‘SIM 1’ to ‘SIM 2’ or vice versa when the network on any one of the SIM cards is unavailable or unreachable. Notifications Manager – Block those apps which send you continuous notifications and all. Just you can now block notifications from the spammy apps with a single tap. Clean Inbox for Messages – Just like a smart email inbox, the messaging app categorizes the messages and sort them out so that you never miss an important mesage, and Auto “Copy OTP” seamlessly detects and copies the OTP. Save time for things that matter more. That’s not all, the camera on CREO Mark 1 is superb. The 21MP camera with Sony Exmor IMX230 sensor captures everything fast without losing any detail. You can shoot 120 FPS Ultra Slo-Mo videos in Full HD (1080p). Also you can record 4K Videos. There’s more- 3D Photo captures your moments and surroundings and can save it in the form of a GIF that animates automatically on Facebook and Twitter timelines. The front camera has a wide 86 degrees Field of View and a handy Beautify mode to capture great selfies. Also, CREO has disclosed some things that consumers will be getting on 13th of May, exactly after one month of the launch, here are a few of them. However, probably a fingerprint scanner on board could make the phone a lot better as they are directly competing to other flagships, though the monthly update seems to be the most promising feature above all.